Jacques Lefèvre d’Etaples was a theologian who founded the “Cenacle of Meaux” and was the first to translate the Bible into French. After studying in Paris and in Italy, he settled in Paris, where he taught philosophy at the college of Cardinal Lemoine. His first works were commentaries on the philosophy of Aristotle. At the same time, towards 1508, he devoted his time to theology and the Bible. He wrote his Commentaries on the Epistles of Saint Paul in 1512, which influenced Luther and Commentaries on the Four Gospels in 1521. In 1520, he lived in Meaux, in the service of the bishop, who appointed him vicar-general. He founded the “Cenacle of Meaux”, which advocated the preaching of the Scriptures in the parishes. Lefèvre d’Etaples undertook the translation of the New Testament into French, from the Latin vulgate ; he began by the Epistles and the Gospels. 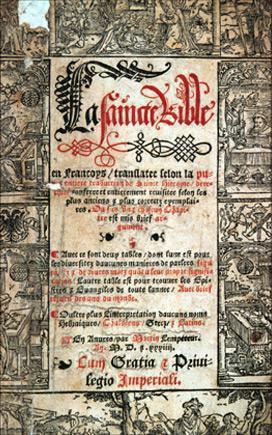 The complete translation appeared in 1524. This translation into the vernacular enabled people to understand for themselves the Bible extracts which the priests read in Latin during the mass. It met with a very enthusiastic reception and contributed to the spread of Luther’s ideas. The doctors of the Sorbonne considered that the translation into French of the Holy Scripture could not be allowed in a country strongly influenced by the Catholic Church. The courts of law ordered Lefèvre d’Etaples’ New Testament to be burnt. Only the timely interposition of the king shielded him from further molestation. However, he sought refuge in Strasbourg in 1525. 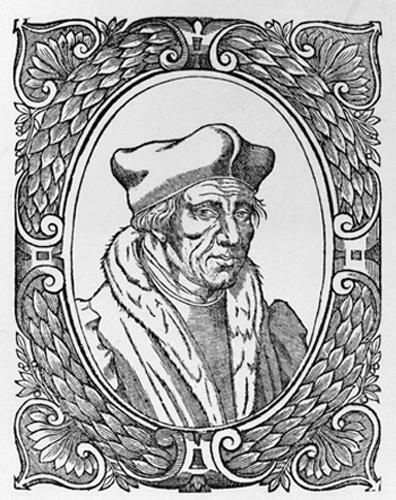 He was called back from exile by François Ier, and returned to France in 1526. He became a private tutor to the king’s children. In 1530, he withdrew to Nérac to the court of Marguerite d’Angoulême and finished a complete translation of the Bible. He had always wanted to remain absolutely faithful to the spirit and the letter of the Scriptures, which he studied meticulously. He reformed the way in which the Bible was studied, without actually joining the Reformation.